GET A FREE WEB DESIGN DEMO TODAY We help businesses create professional websites that convert visitors into customers. Sign up today for a free consultation! St. Petersburg, FL Web Design Company We create websites that are focused on one thing: building YOUR business. 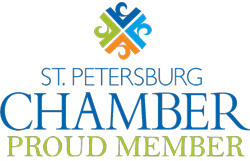 Get started today with professional St. Petersburg Web Design that drives results! Generate more web traffic, then convert that traffic into leads, revenue, and sales for your business. 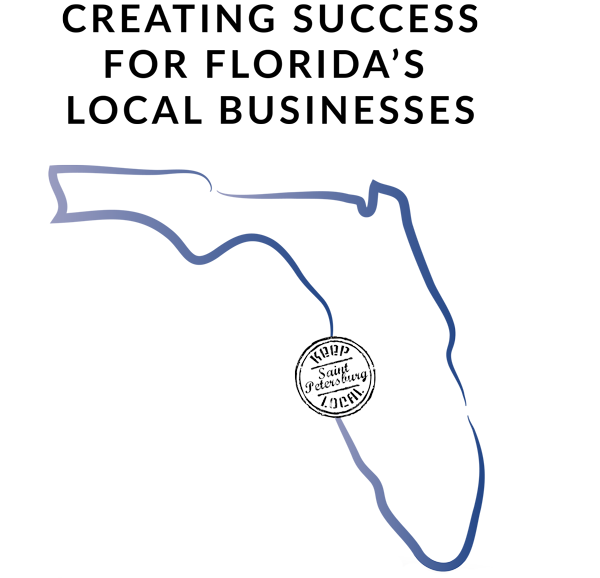 Our St. Petersburg FL Web Design packages are perfect for any small business including service companies, local businesses, and professionals. Sell your products and services online using our robust eCommerce platform customized to fit your business. We’ll help you get setup with everything you need from an SSL Certificate to Online Payment Processing. We’ll show you exactly how to monitor your website’s traffic and performance. We believe in 100% transparency. Websites hosted on our LiteSpeed Powered Servers load up to 9 times faster than average shared hosting plans. How it Works Our packages are designed to lay the foundation for any local business' success. That involves a professional website, on-page search engine optimization, our lightning fast web hosting technology, setting up local listings, and more. Most businesses we work with see a Return on Investment within 2-3 months of launching! Preparation: We talk to you about what you want to achieve, and provide you with a questionnaire to fully understand your needs. Initialization: We refine the local marketing objectives and requirements to formulate your local marketing strategy. Collection: You provide us the resources we need (such as text and images), the signed client agreement and the first half payment. Days 1-2: Start the clock! We kick off the project, analyzing your competition, building a keyword strategy, and determining design options for the website. At this stage, we also begin the claiming process on Google+ Local, and any other listing sites we’re working on. Day 3: We discuss our analysis and research, then present demos of the WordPress designs we think will work the best for your business. Once the design has been agreed upon, we start building the website. Days 4-12: We install WordPress and begin mocking together the design elements, text, and images. Day 13: We show you a design mockup for consideration. Day 14: We discuss any changes or amendments to the design and integrate them with our mockup. Day 15-19: We make revisions to the website’s design and content based on your feedback. Day 20: We test and fine-tune the site across multiple devices so it’s ready to go live. Day 21: We go live, install Google Analytics and then move onto training. Content Management: We give you the keys to the website and analytics, helping you learn the ropes. This involves two 45-minute training sessions. Domain Name: You can direct your existing domain name, or we’ll help you to buy one and get it set up. Hosting and Support: We host the site for you, so you don’t need to worry, and provide your business with the support it needs to grow! Security, Backups, and Updates: We keep your website software and plugins up to date, monitor for security risks, and regularly backup your website in case restorations are necessary. GET STARTED TODAY! We help businesses create professional websites that convert visitors into customers. Sign up today for a free demo and we'll customize a package that is designed specifically for your business!